The opioid problem has hit upstate New York and its rural areas particularly hard. We’ve written both about the demographics most likely to use opioids and the spillover effects on families, social services, and schools. In Sullivan County, it seems as though opioids affect nearly everyone, and nearly everyone has a stake in what happens. Yet, community members feel they are working harder than ever and still falling further and further behind. 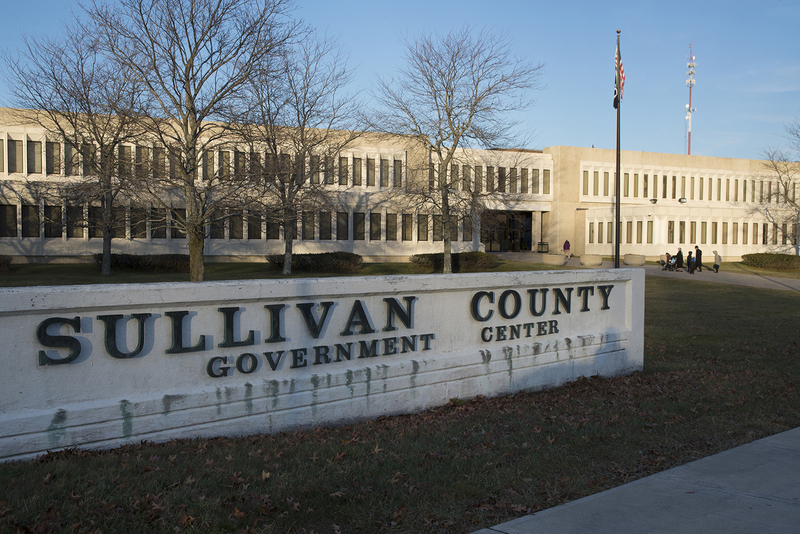 Although we asked, repeatedly, what state and federal officials could do to help, people in Sullivan County most often said they wanted officials to understand the problem from their point of view. Over breakfast at a local diner, community members explained that even though awareness is growing, they see the problem getting worse. For example, the county’s premier hospital, Catskill Regional Medical Center (formerly Harris Hospital), does not have a detox center. In fact, the number of available treatment beds has shrunk even as the opioid problem has grown. A community activist noted that people in Sullivan are inundated. It’s a sentiment that we heard a lot: People in Sullivan are working hard, but they can’t keep up. Left: Catskill Regional Medical Center. 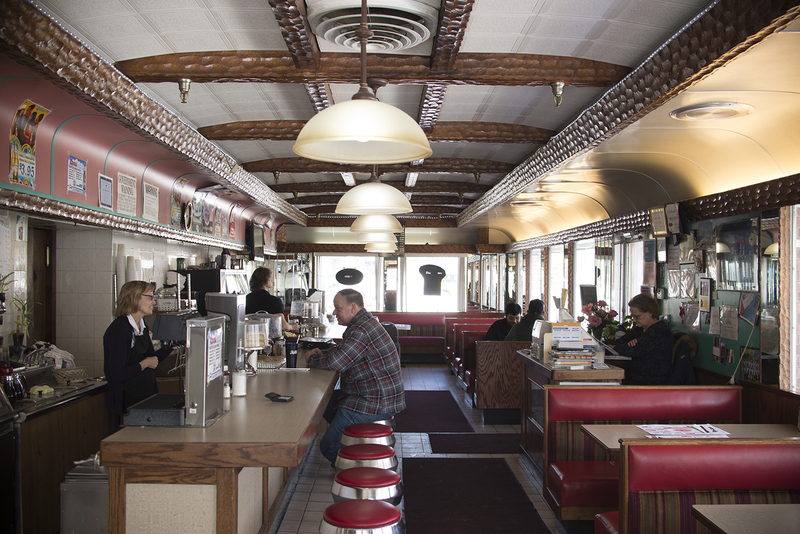 Right: The Miss Monticello Diner in Monticello, New York. In our visits to Sullivan we heard several people compare the opioid problem to the AIDS epidemic of the 1980s and 1990s, which created fear and had no easy solutions. Like AIDS, the current opioid problem is out of control. It’s spreading. And to those on the ground, it feels as though there’s nothing anybody can do to stop it. 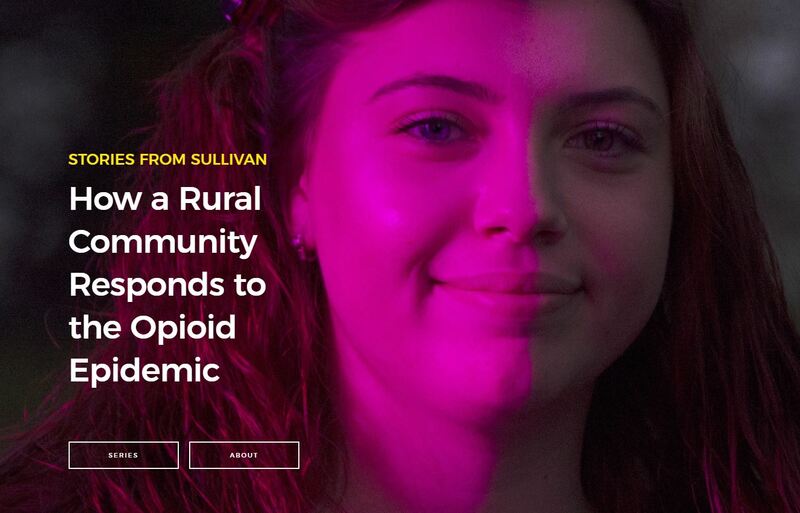 People in Sullivan believe that addressing the opioid problem means, like AIDS, focusing on both prevention and crisis management. What can state and federal officials do to alleviate the burden? We asked folks in Sullivan that question. Given the common feeling of being overwhelmed and inundated, we were surprised by the response. Local community members want more resources, for certain. But more than that, they want to be heard. They feel government doesn’t understand the problems they face. When we asked one mother what she wanted policymakers to know, she tells us she’s given up on them. This mother, with political bumper stickers on her car and signs in her yard, doesn’t have faith in officials for the most pressing problem in her life: her daughter’s addiction. 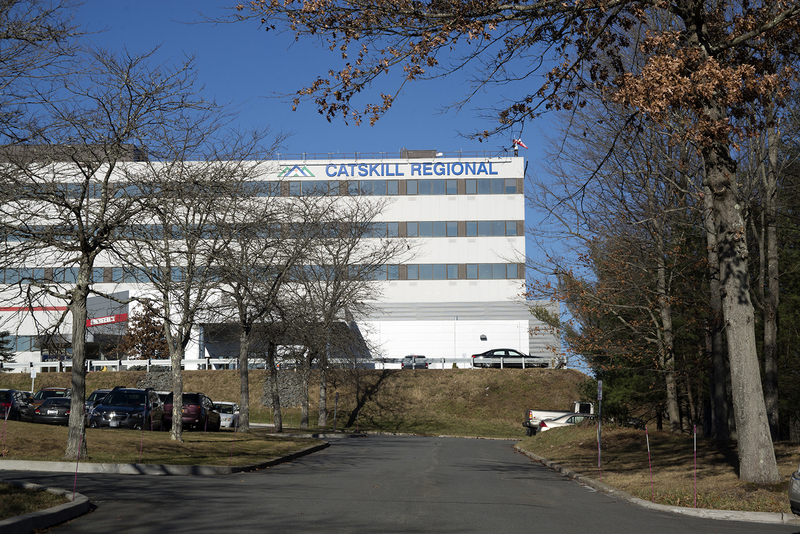 Sullivan County lacks physicians and facilities to treat people with opioid addiction, housing and jobs to keep addicts from relapsing, and wraparound services to navigate the system. A lack of transportation, along with poverty, make the opioid problem particularly difficult to solve. Local officials and service providers have extensive experience with state and federal regulations, but they see them as often hindering, rather than helping, them. As a county health official explained to us, the state is very good at handing down directives based on studies done in labs. However, there is a disconnect between what the community provides and what the state sees. Federal rules, too, can seem to people on the frontlines as hindrances. For example, federal HIPAA rules, which protect patient privacy, have admirable goals. However, the effect is to make coordinating care in offices that handle multiple health issues much more difficult. A provider explained to us how, at one point, two sides of the same clinic were treating the same person for the same set of problems related to addiction but couldn’t talk to one another. A community advocate told us how she focuses not on government but on hope. Opioid addiction can seem very dark, and the reality is that parents lose their children. She doesn’t shy away from that. But there’s also hope, and people need that. They need more than the numbers, more than empty words from political officials. When we asked one mother what she wanted policymakers to know, she tells us she’s given up on them. This mother, with political bumper stickers on her car and signs in her yard, doesn’t have faith in officials for the most pressing problem in her life: her daughter’s addiction. They do not want to be the photo op for a politician’s campaign, and they don’t want to be lectured by public officials who may have never met a person addicted to opioids, let alone work or live with them day in and day out. Certainly, people in Sullivan could use more resources, and they often said as much. They don’t have what they need in terms of infrastructure to handle the primary problem (people with drug addictions), let alone the secondary effects on families, foster care, and schools. They think that policymakers are throwing money at cities. They encounter all kinds of government agencies: OMH, OASAS, SSDI, Medicaid. But these agencies make it difficult to get help, rather than facilitate it. When we heard suggestions of what government can do, it was to get out the way. Local government officials and nonprofit providers said they’d like fewer regulations that make it difficult to do their jobs. People in the community seem to think that other levels of government don’t “get” them. They feel left behind. They worry about the future. They do not want to be the photo op for a politician’s campaign, and they don’t want to be lectured by public officials who may have never met a person addicted to opioids, let alone work or live with them day in and day out. People on the ground want engagement. They want people in high positions to understand them and the problem they face. They want public officials to care.